This time of year is often jam-packed with holiday preparations, social events, family visits and, somewhere in between, the mania of gift shopping. After all that, it’s no surprise that many of us want to escape to the world of scuba diving for a change of scenery. Part one of this blog series looked at Exploring the Winter Sun, but if you’re living in a warmer region where there’s no shortage of sunny days, you might want to turn the temperature down a notch. Here are a few of the coolest destinations where you’ll be able to celebrate a white winter in scuba style. 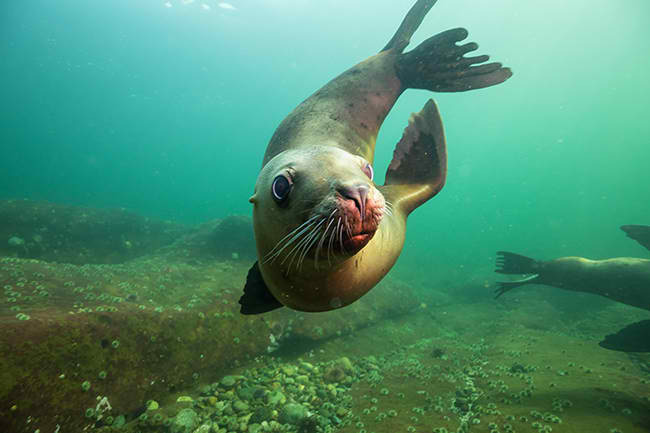 If you’re looking for visibility that takes your breath away, you’ll find it in Canada’s cold waters along with harbour seals, wolf eels and orcas. In Ontario, Tobermory is the country’s scuba capital, with options for every level of diver and noted for its preserved wrecks. Lake Minnewanka’s submerged town can be found in the popular snowsports area of Banff National Park, while British Columbia was a favourite of Jacques Cousteau — look out for colossal creatures at Barkley Sound, like the giant pacific octopus and sixgill shark. Read more about diving in Canada. A perfect destination if you’re looking for cold-without-the-ice. On the South Island is Fiordland National Park, a UNESCO World Heritage Site. Here, Milford Sound’s freshwater layer is known for bringing deep-water black and red corals to shallower depths. In the North, the Poor Knights Islands boast post-volcanic seascapes, kelp forests, seal colonies, and whales en-route to migration. Even further north, the Bay of Islands shelters vast communities of marine life and Greenpeace’s infamous flagship, the Rainbow Warrior. 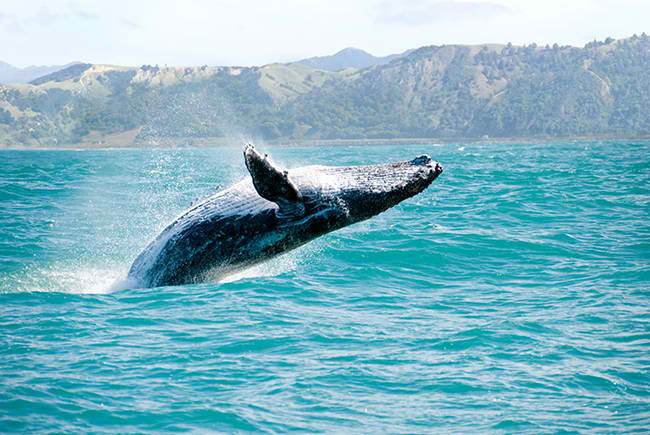 Read more about diving in New Zealand. This Nordic winter wonderland is as beautiful above the water as it is below, and if you’re lucky, you may catch a glimpse of the Northern Lights during the darker months. 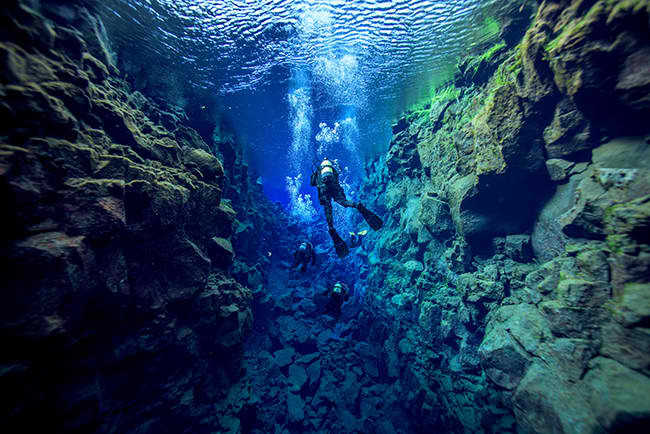 At Silfra fissure, you can dive between two tectonic plates where the chilly glacier-fed waters produce visibility of over 100m/328ft. At Kleifarvatn Lake, streams of hydrogen sulphide bubbles rise up from hot springs for an eerie experience. Don’t miss Strytan’s hydrothermal vents where you’ll feel the heat and might be greeted by wolf fish, starfish, jellyfish and cod. Watch this video taken at Silfra. 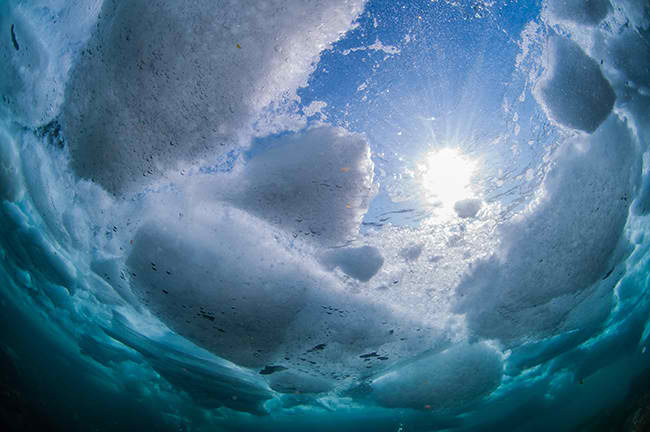 Another treat for ice divers is the Shiretoko Peninsula in Hokkaido, a World Heritage Site where waters drop as cold as -2°C/28°F, and where you’ll be able to dive below drifting blocks of ice flowing from the Sea of Okhotsk. Keep your eyes peeled for the beautiful Clione (or Sea Angel), a transparent winged sea slug that will bring joy to macro photographers. Further south, Lake Shikotsu is one of Japan’s clearest lakes and never freezes, making it accessible for recreational winter diving. Read more about diving in Southern Japan. Despite sub-zero temperatures, the White Sea is anything but frozen still; tidal movements carve out stunning shapes and sculptures in the ice, while dramatic boulders and drop-offs give shelter to countless cold water species. Look out for gigantic sponges, crabs, nudibranchs, skeleton shrimp, wolf fish, and even beluga whales. 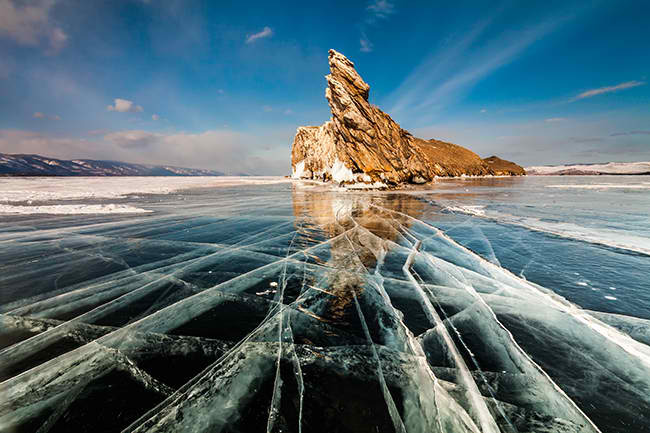 In the East, Lake Baikal is a World Heritage Site, and the oldest and deepest lake in the world. It provides habitat for nearly 2,000 species of flora and fauna, many of which are endemic to the area. Read more about diving in Russia. This temperate west-coast state offers boat dives, shore dives, novice dives, advanced dives and everything in between. 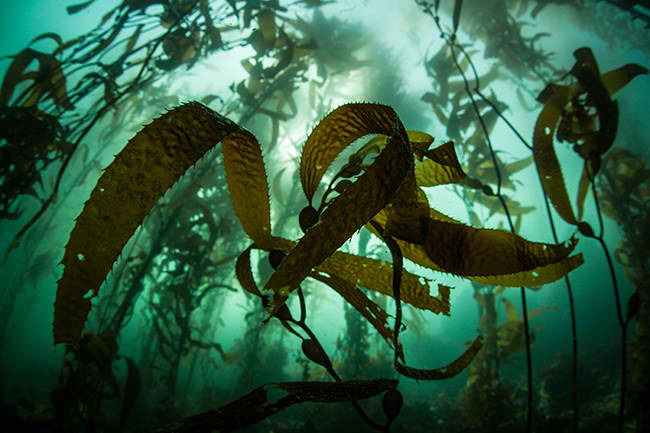 If you’re looking for towering kelp forests, sea lions, sharks and colourful reefs, it definitely won’t disappoint. Monterey Bay saw fame in Finding Dory, and is a top place to find otters and octopus, while Catalina Island offers regular sightings of the state marine fish, Garibaldi. Further south, adventurers will love exploring Wreck Alley or the underwater canyon at La Jolla Cove, both near San Diego. Read more about diving in California.